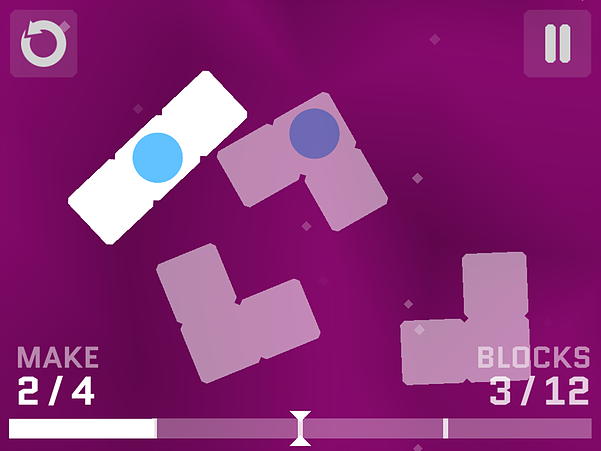 Diffission is an addicting fractions puzzle game playable on web browsers, tablets, and mobile phones. 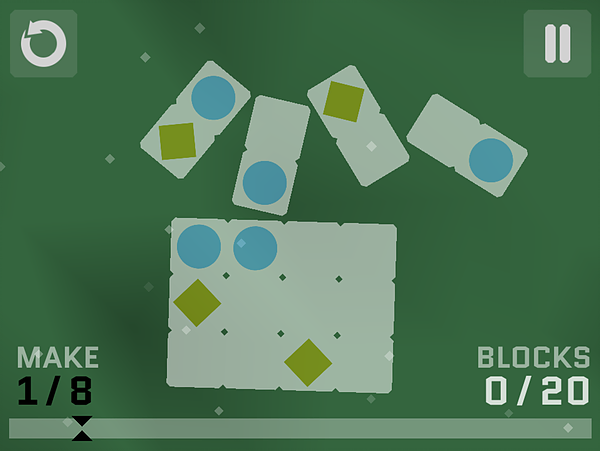 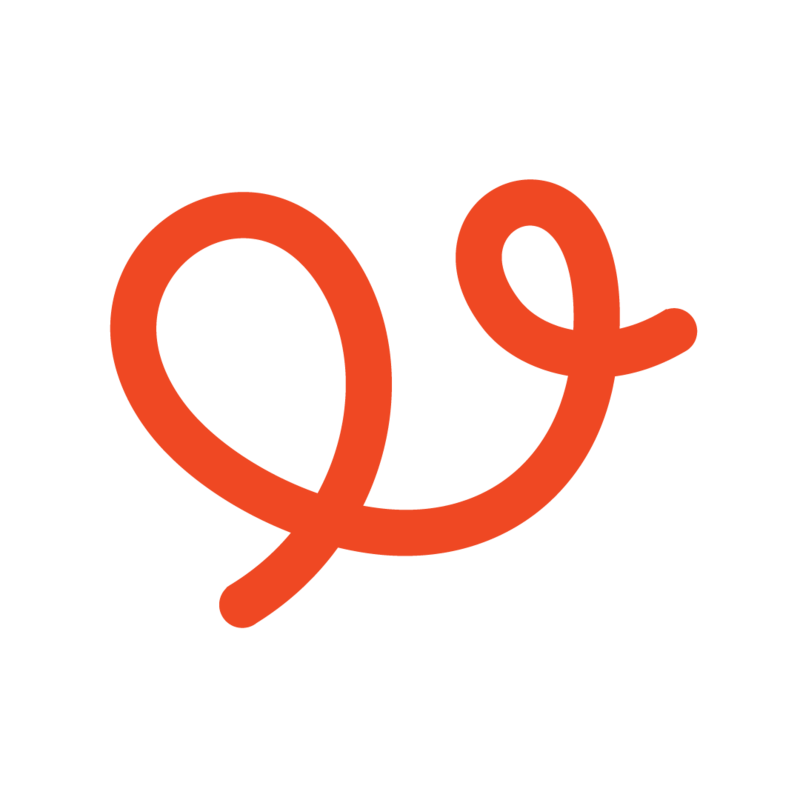 Players solve endless procedurally-generated puzzles by slicing and swiping deceptively simple shapes. 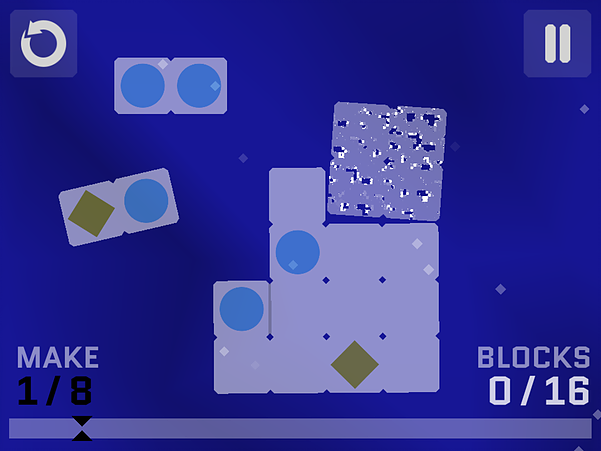 Each level requires players to create a specific fraction by breaking a whole shape into equal parts. 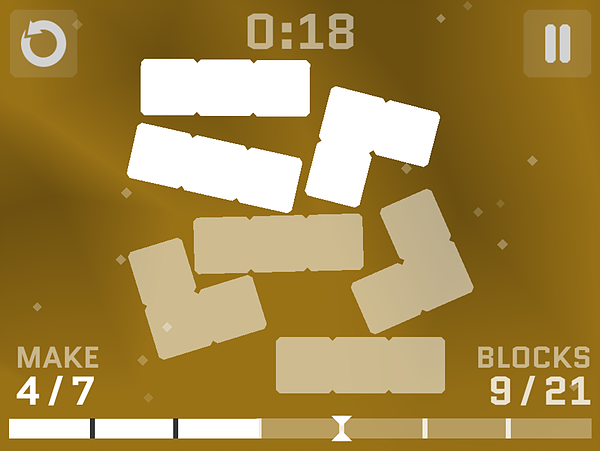 As they manipulate swap and dissolve blocks and collect diamonds to unlock new trials, players deepen their understanding of fractions through intuitive touch-based gameplay that unfolds into an expansive strategic challenge.